At ShipCompliant’s annual Direct Sales Seminar today, Kent Nowlin of ShipCompliant and Danny Brager of The Nielsen Co. presented data developed by Wines & Vines and ShipCompliant with Nielsen research about direct-to-consumer sales. The survey confirmed that DtC sales are a robust and growing trade. I received a sample of a small-production Cabernet Sauvignon from a new boutique winery. This winery has estate vineyards in Sonoma and also sources fruit from prime Napa Valley vineyards. One of their sources is in Coombsville, in the sourthern Napa Valley. 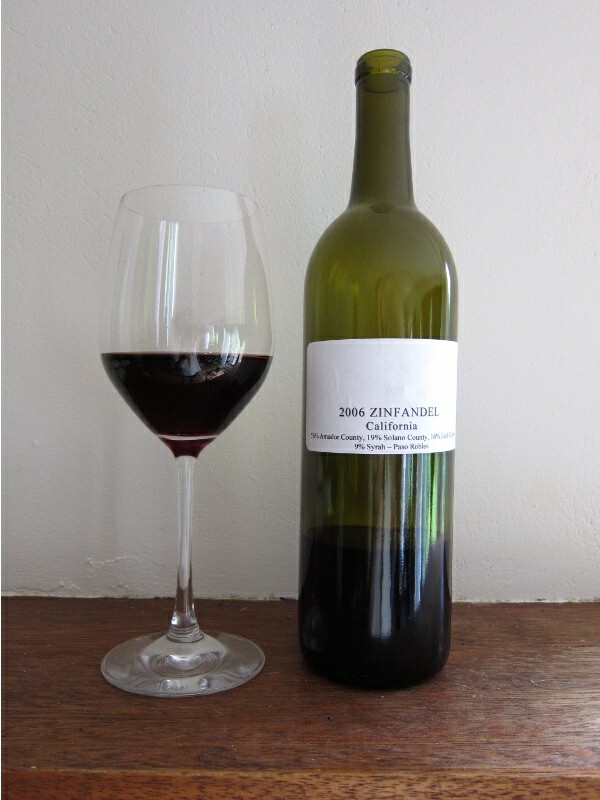 I recently received a sample of 2006 California Zinfandel from a Napa winery friend of mine. The wine is youthful and dense, with dusty tannins on the palate and a focused core of cranberry spice and bright acidity. I have found a small source of 2008 Napa Cabernet for my quick-on-the-draw private label clients (this will go fast!). There are only 3-4 pallets available. The wine is juicy, rich and full-bodied. It is already bottled in a nice Bordeaux bottle with shoulders and a taper. Just waiting for your label and it is ready to go! Please contact me if you are interested in buying some of this wine! Olive Oil's Wine Dinner #2 a great success! Much fun was had by everyone last night at the second Olive Oil's wine dinner. Shrimp bruschetta was accompanied by the Northwest Wines Pinot Gris 2006, a favorite from the last dinner. Then came antipasto, and then a lovely butternut squash and apple soup. For the main course, a choice of Pumpkin Gnocchi, Long Island Duckling or a salad with gorgonzola, walnuts and steak. And for dessert, a puff pastry stuffed with gooey chocolate sauce. Read more about Olive Oil's Wine Dinner #2 a great success!